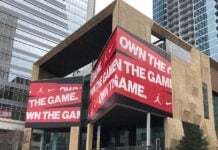 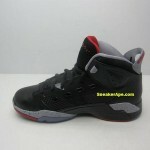 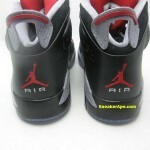 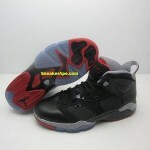 More images of the Jordan 6-17-23 in its all new Black/ Varsity Red- Cement Grey have surfaced. 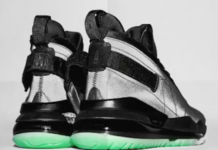 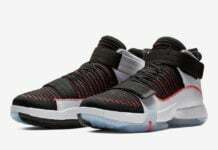 Thus far, these seem to be the worst looking of the confirmed colorways for this shoe… sort of looks like a bad version of the AJ6 ‘Pistons’, and those were pretty bad on their own. 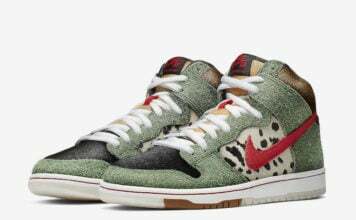 Release date is tentatively set for a June 11th drop, but if you feel like spending $175 on a pair of Hybrids, you can hit up SneakerApe.